How two pink chairs started it all! 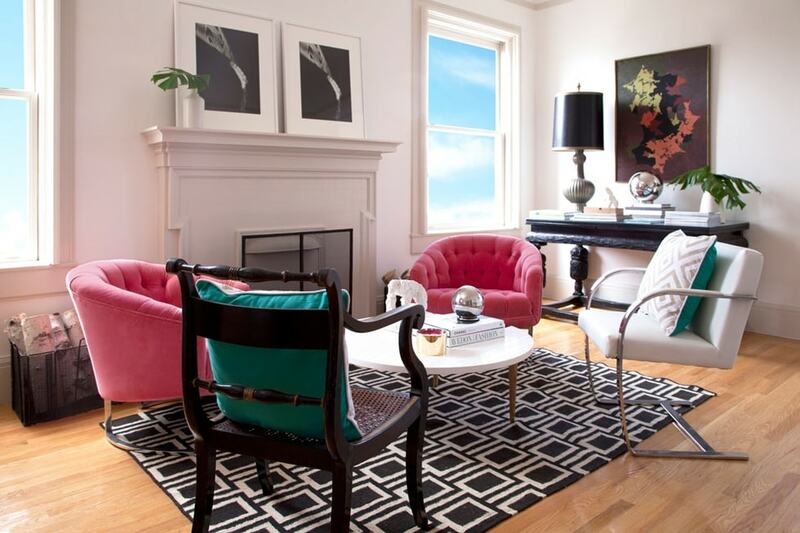 Decorist started with a great discovery, and in this case, it was two pink chairs. Gretchen Hansen, Decorist CEO, spotted the chairs in the back of a great local shop during one of her regular vintage scouting trips. Immediately she had that “I found it” feeling. The chairs were classic Milo Baughman, but curved and tufted so they had a real personality. They were also bright pink. Outrageously pink. She bought them on the spot. Gretchen knew exactly where they would go—her office where she could see them every day. Once they were in place, hmmm. No go. Something just wasn’t right, her room just didn’t feel pulled together—the chairs felt too small, too pink, too everything for the room. Gretchen was talking to a friend who was a designer and mentioned the chairs and her “dilemma”—the chairs didn’t work, but that she really loved them. A few days later the designer showed up with a rug, a table and a chair. Three items. Then she did some rearranging, repurposing, and re-imagining. In what seemed an instant, Gretchen had a glamorous new office. That is the moment that Gretchen decided to start Decorist. To make great design accessible to everyone. To help make it easy for people to create an amazing space, that reflects their personal style, all within their budget. Your home does not have to look like a magazine. It just needs to be you. And loving your space can be as simple as finding that one great piece or getting some design help to pull it all together and make it feel new again. That’s what Decorist is all about. Helping you tell your design story so you can fall in love with your home again.